You will love this hexagon blanket. This is an easy pattern in which you can express your mood by using your favourite hue combination. You can easily make a bedspread or sofa cover to upgrade your interior. You can also use this pattern to create a chair cover, or a cover for a chair or other furniture. As you can see in the photos, there are no limits to your imagination and the possibilities of colour sets are endless! The Link to the pattern is below. 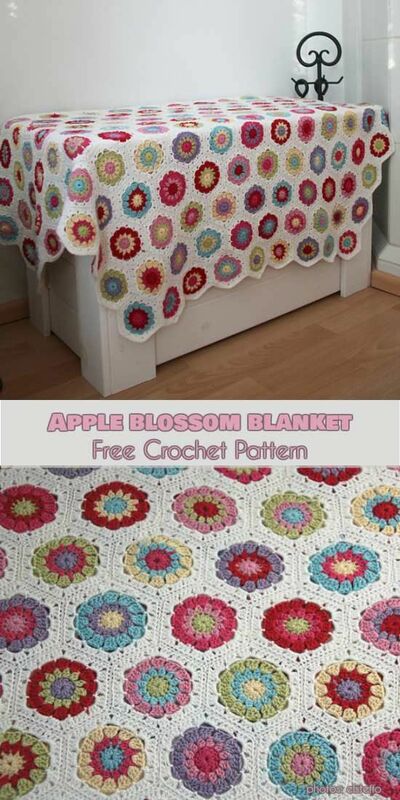 Apple Blossom Blanket – visit the free pattern site.